Asia Pacific is tipped to hit 675 million 5G connections in seven years, putting it on track to be the world’s largest 5G region by 2025, according to the GSMA’s latest Mobile Economy report. The report, entitled The Mobile Economy: Asia Pacific 2018, found that markets such as Australia, China, Japan and South Korea will pioneer the technology to lead uptake, with launches of commercial 5G networks expected to begin in these markets next year. The forecasted 675 million connections by 2025 will account for more than half of the global 5G total expected by that point, added the report. 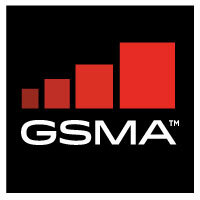 Mats Granryd, director general of the GSMA, said in a statement the Asia Pacific region has experienced a “rapid migration to mobile broadband networks over recent years” and it is now set to play a pioneering role in the 5G era. “Mobile operators will invest almost $200 billion over the next few years in upgrading and expanding their 4G networks and launching new 5G networks to accelerate the growth of Asia’s digital economies and societies,” he said. The report revealed that Asia’s mobile industry added $1.5 trillion in economic value last year, equivalent to 5.4 per cent of regional GDP, reflecting the mobile ecosystem’s growing value to the region’s economy. With 5G expected to launch in Asia in 2019, early 5G deployment – based on 3GPP Release 15 standards - is expected to focus on enhanced mobile broadband services and also supplement the capacity and capabilities of existing mobile broadband networks, particularly in dense urban areas. The next phase of 5G, enabled by 3GPP Release 16, GSMA added will lay the foundations for Asia Pacific to support a range of future 5G use cases and innovations, such as massive connectivity and low-latency services for the internet of things, critical communications services and virtual reality. 4G, which is now the region’s dominant mobile technology, will also continue to grow rapidly as 5G commercialisation edges nearer. In total, 62 per cent of Asia’s mobile connections will be running on 4G and 14 per cent on 5G by 2025.